In this final day of October, I had to squeeze in one final pumpkin recipe. I know, I know, pumpkin is EVERYWHERE this Fall. It is in our sweet treats, candy, bread, beer, candles and of course, drinks. I personally love it, mostly because I love pumpkin, but I can understand how it can be a bit overkill this year. One thing is for sure, the weather is finally feeling like Fall in NC, which gives me a hankering for warm drinks. As much as I would love to just hop into a Starbucks and order the ever-so-popular Pumpkin Spice Latte, I know better. First of all, they use a syrup in the drink that doesn't even contain any pumpkin! Wait, a Pumpkin Spice Latte doesn't have any pumpkin in it...absurd! Secondly, a small "Pumpkin" Spice Latte has 40g of sugar with non-fat milk. This doesn't even include the whipped cream. Not to mention, the sugar grams aren't even from a natural sugar! These drinks may be good, but I don't enjoy putting unknown ingredients in my tummy. Lastly, these drinks cost you a pretty penny...every time! There is a reason why Starbucks is called "Four Bucks!" I do love my hot drinks though, so I was determined to create my own to prevent deprivation from my favorite Fall drink. It was easier than I thought. I seem to have an abundance of pumpkin puree in my kitchen this year, so I started with that and hot milk (non dairy milk works well here too) and added pumpkin pie spices, maple syrup and a bit of vanilla extract. Heat this, add your coffee and BAM....an actual pumpkin spice latte at home. 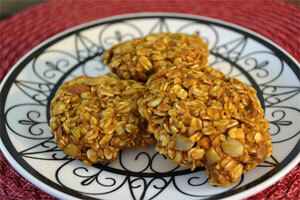 And for a little healthy treat with your latte, try these Healthy Pumpkin Spiced Cookies from Kris Carr's blog. Delish! In a microwave safe bowl, whisk the milk, pumpkin, syrup, vanilla and spices briskly to combine well. If you are using homemade pumpkin puree, it might be a good idea to put this in a blender or food processor to blend the small pumpkin bits. Make the coffee on a strong setting or use espresso if you have a machine. Heat this in the microwave in 30 second increments, whisking in between cooking sessions. After about 1 min and 30 seconds, remove the milk mixture and pour into a large mug. Add in the coffee and top with whipped cream and cinnamon on top. Enjoy! For a stronger drink, increase the amount of coffee. For a creamier drink, increase the amount of milk. I prefer less sweet coffee drinks, so increase the maple syrup for a sweeter drink. Canned pumpkin puree can be used here as well. That about sums up our way-too-short trip to Charleston. Some of our closest friends live on the West Coast, which means we don't get to see them much, which also means when we find out they will be within a 5 hour vicinity, we jump right on the opportunity to see them! They decided to bring a small West Coast crew to "tour" The South. Meet Jessica and Corey, our adorable friends! They live in Portland and San Francisco, respectively and are major foodies just like us! Meet Dan, Crissy and Isis (also from Portland) - our new awesome friends! Ryan and Isis attempting the Gangum Style dance in front of Kaminsky's. We had the opportunity to tour one of the oldest working plantations in the area, Boone Hall Plantation, which is right outside of Charleston. A lot of history spurs from this property and (for the ladies out there) this is the location where The Notebook was filmed and where Ryan Reynolds and Blake Lively just got hitched! Pause for teenage girl shrieks. The Butterfly Cafe featured homemade ice cream (that we eagerly devoured) before heading into Charleston for some afternoon fun. 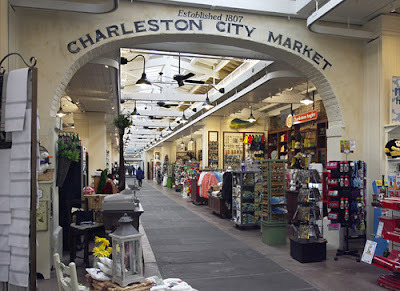 Some of the group parted ways to take advantage of the beautiful golf courses in South Carolina, while the rest of us decided to walk through the Straw Market and get an official tour of Charleston on a horse-drawn carriage (is there any other way?!?!). The Straw Market is a historical landmark in Charleston. Formerly known as the Slave Market, this served as the market where slaves would purchase goods for their master. The market is speckled with old tradition and new culture. Gullah woman mark the entrances and exits with the traditional craft of basket weaving, while a variety of vendors bargain food, clothing, jewelry and gifts. Next on the agenda was to hop on a horse-drawn carriage for a historical tour of the city. For those that have been going to Charleston for years and not done this, DO IT! I was amazed at some of the history I learned about the city. I mostly enjoyed the facts about the architectural past of the beautiful, rather large homes that fill the city. From wealth and wars, to fires and earthquakes, this city has retained its dedication for its past. Charleston may be steeped in history, but they have pushed the curve in the culinary field. Crispy fried oysters with coleslaw, arugula and Old Bay aioli. Honeycrisp apple salad, shaved fennel, pecans, smoked blue cheese, baby arugula salad with sherry honey vinaigrette. Beef Carpaccio, arugula, herb aioli, soft boiled egg, black truffle vinaigrette and toast. Grilled Sunburst Farms trout with roasted butternut-Brussels sprouts hash, dressed micro greens with a citron vinaigrette. Crispy smoked pork belly, black pepper cider gastrique and corn relish. Stuffed South Carolina quail, housemade sausage, corn grits, okra, watermelon pickle, honey thyme reduction. Seafood Pirlou, shrimp, mussels, scallop, grouper, country ham, Charleston rice, corn, okra, stewed tomatoes. Mocha, salted caramel cake with fresh whipped cream. And we drank, we drank VERY well! Lavender Martini - Stoli Vanil, lavender syrup and lemon. Barn Raiser: local honey infused Maverick bourbon, ginger ale, orange bitters, orange twist. Cosmopolitan and sweet tea vodka cocktails. For those considering another vacation, I highly recommend Charleston and it's surrounding area. There are so many things to do there, especially with the culinary scene setting the bar pretty high for tourist spots! After last weeks pumpkin post, I had to re-group and get back to my health conscious ways! Every time I taste the pumpkin puree, even though I know what it tastes like, I am surprised at the lack of sweetness. When I think pumpkin, I think sweets (probably like most American's). The idea of pumpkin as being sweet is engrained in our minds. But in fact, pumpkin is not. Pumpkin in its cleanest, most naked form is rustic and savory....much like any winter squash. Oh right, pumpkin IS a squash!! I decided to throw a curve ball on my Pumpkin Recipe Roundup and come up with a savory recipe. Ryan is not the biggest fan of winter squash, so I had to come up with something that he would like despite his dislike of squash consistency. Ok, ladies and gentlemen, here is a test of your Kettler Cuisine blog loyalty. What ingredient do I like to add to recipes so that my sweet husband will eat it......BACON!! That's right, but in a more gourmet fashion, pancetta was used in this one. I did a pasta bake, or baked ziti if you will. Cheese and bacon was bound to win my husband over. This recipe could easily be swapped with butternut squash or other winter squash. While pumpkin has a bit more of a mild flavor, butternut squash is a tad bit sweeter. However, in the spirit of Fall, and our society's massive obsession, I decided to highlight pumpkin....in true American fashion!! Preheat the oven to 400F. Line a large baking sheet with aluminum foil and rub olive oil on the foil. Combine the pumpkin and about 1 T olive oil in a large bowl and stir to evenly coat the pumpkin. Spread the pumpkin in an even layer on the baking sheet and cook at 400F for about 30 minutes or until tender. Set aside. Leave the oven at 400F and grease a 13x9" baking dish. Fill a large pasta pot with water and bring to a boil, while prepping the pancetta and onion mixture. In a large saute pan, cook the pancetta on medium heat until crispy. Transfer to a paper towel-lined plate, reserving some of the drippings. Cook the red onion in the remaining drippings for about 8-10 minutes, stirring frequently. Add in the garlic and 1/2 tsp salt and cook for another minute. Set this aside. Once the pot of water starts to boil, cook the pasta until almost al dente (about 6-7 minutes). Add in the kale and cook for another minute and immediately strain and set aside. In a sauce pan, bring 1 cup of vegetable broth to a boil. Take the remaining 1/4 cup of broth and mix with flour (or corn starch if doing a gluten free version) and stir into the boiling broth. Cook this for another 2 minutes, stirring continuously until the sauce has thickened. Turn off the heat and stir in 1/4 cup of the shredded cheese and all the creme fraiche in small batches until melted and the sauce is creamy. Remove from heat, a creamy cheese sauce will result. In a large bowl stir the pumpkin, onion mixture, pancetta, pasta, kale and cheese sauce until evenly combined. Pour into a greased 13x9" baking dish and sprinkle the remaining shredded cheese on top. Cook for 25 minutes in a 400F oven until bubbly and slightly browned on top. Pumpkin Bars, something you will quickly learn, are a staple in Ryan's family. I leave all healthy eating habits behind when I encounter these things. Not really the best encouragement, but hey, it's Friday! Let your hair down! In all seriousness, if there is one thing that keeps me from being gluten-free, sugar-free or vegan it is pumpkin bars. Desiree's infamous pumpkin bars. These things are notorious around the Kettler family and now amongst our friends. My mother-in-law brought them to a tailgate a few weeks back and I had 6 requests the next day for the recipe. It seemed only fitting to include them in my Pumpkin Recipe Roundup! They have the consistency of a moist cake and get their "bar" monicker from the shape they're cut into. These are amazing and worth every fat gram, calorie and sugar granule. Pumpkin Bars are definitely a seasonal treat, one that I only allow myself to indulge in once a year. These are great for large gatherings, to eliminate the temptation of leftovers. But, man will your guests love you!! People go crazy over these things. I do have to say that this is one thing that I like for Ryan's mother to make for me, so I am not reminded of what goes in them! However, I am a VERY health-conscious eater and allow myself to indulge once and a while. You should too! Preheat the oven to 350F. Grease and flour an 11x17" jelly roll pan. Using a standing or electric mixer, combine the oil, pumpkin and eggs. Mix until well combined and add in the dry ingredients (flour, sugar, baking powder, baking soda, spices and salt) and mix on medium speed for 2 minutes. Pour the batter into the prepared pan and bake at 350F for 20-25 minutes, or until a toothpick comes out clean from the center. Cool the pumpkin bars completely before frosting. To make the frosting, combine all the ingredients into the standing mixer and mix on medium until there is a smooth and creamy consistency. Spread the frosting on the bars after they've completely cooled and serve with a nice cup of coffee! I am not a huge frosting fan and like these without the frosting just as much, although my husband can't imagine such a thing. If you are making these bars for an outdoor function with warm weather, it is best to leave the frosting off as it will melt. The frosting can be made ahead of time and stored in the refrigerator. Just bring it to room temperature before spreading on the bars. These can be made in a different size pan, just adjust the cooking time. It's time for another installment of my October series: Pumpkin Recipe Roundup. For week 2, I have decided to share my pumpkin granola recipe. I eat granola almost every day with Greek yogurt for breakfast. I started making my own granola recently to control the amount of sugar and to make gluten free. I followed a recipe the first time I made granola and was amazed at how easy it is. After messing with ingredients, measurements and cooking times/lengths, I have created, what I believe is a foolproof recipe that the hubby enjoys too! Preheat the oven to 350F. Line a large walled baking sheet (or two if doubling) with either parchment paper or aluminum foil. Spray with olive oil (or use a paper towel dipped in olive oil to rub the surface). This helps the granola from sticking while cooking. In a medium saute pan over medium heat, toast the nuts and seeds (except flax seed) until fragrant and lightly browned. Stir these often while toasting and watch carefully as they will burn very quickly. Once toasted, set this aside to cool. In a large bowl, mix the olive oil, salt, spices, maple syrup and pumpkin puree until well blended. Stir in the oats, toasted nuts and seeds and mix well to combine. The mixture will be very moist, this is OK.
Lay the granola out on the prepared baking sheet (or two) and spreed out evenly. Bake at 350F for 25-35 minutes or until the granola is a nice golden brown, stirring every 10 minutes to let steam escape. Steam will rise from the granola when you stir - this is a good thing and helps make the granola crispy! Remove from the oven and stir in the dried fruit right away. Let cool to room temperature and store in an air tight container in the pantry for up to 3-4 weeks. For a chewier granola, cook closer to 20-25 minutes. For a crispier granola texture, cook for 30-35 minutes. I like crispy! Hi, I'm Jessica, and I am addicted to grocery shopping! It was brought to my attention by my dear friend Ruth, that not everyone has a ridiculously-stocked pantry and refrigerator like I do. I will be the first to admit that I have a grocery shopping problem, but it helps fuel my hobby to create in the kitchen. Ruth took this one step further and asked for me to put together a list of "must haves" for my pantry, fridge and freezer. How can I turn that kind of request down!! It is important to mention that everyone has different tastes, diets and allergies, so don't feel like you have to go out and buy all of these items. This is simply a suggestion post and a list of things that I often cook with and like to have on hand. Further evidence of my grocery shopping problem! I thought it might be fun to try out a series on the blog, and what better theme than pumpkin! I think it is apparent from my recent post how much I love pumpkin. Fall is my favorite season, the brutal NC heat and humidity fades away as the vibrant earthy tones start spotting the landscape. Fall is also a great time for some of my favorite produce, very hearty, rustic produce like butternut squash, figs, brussel sprouts and pumpkins! Last weekend, I made an obscene amount of pumpkin puree to freeze for the season. Every Friday in October I will be posting a new fall-inspired recipe that features pumpkin - I call this my "Pumpkin Recipe Roundup!" First up, Pumpkin Chocolate Chip Bread. This is a great recipe that I tweaked from the Pumpkin Chocolate Chip Donut Muffins on You Made That. I love pumpkin muffins too, but breads are easier to travel with and store. The great thing about this bread, is that it has a cakey consistency, which Ryan loves. And the large chunks of organic dark chocolate are a nice little surprise in every bite! Even though I made a few health-conscious ingredient swaps, this still is not the healthiest recipe on my blog. But my philosophy is sometimes you just have to Treat Yo' Self (In the words of my favorite character on Parks and Rec)! Preheat the oven to 350 degrees and rub butter on the inside of two bread loaf pans. I like to use a paper towel to spread the butter. In a large bowl of a standing mixer, beat the coconut oil, butter and brown sugar until light and fluffy. Add in the eggs, one at a time, scraping the side of the bowl if needed. In a medium bowl, whisk together the buttermilk, pumpkin puree, vanilla extract and honey. Add this pumpkin mixture to the butter mixture and mix on low. Clean the bowl out and dry. Whisk together the flour, baking powder, baking soda, salt and pumpkin pie spice. With mixer on low, add flour mixture in three additions. Fold in the chocolate chunks until well distributed. Divide the batter evenly into the two bread loaves. Bake for 40-50 minutes until a toothpick inserted in the center comes out clean. Let the loaves cool for about 10 minutes, then remove from the pans and cool the rest of the way on a wire rack. It just so happens that today, I am celebrating two different anniversaries! 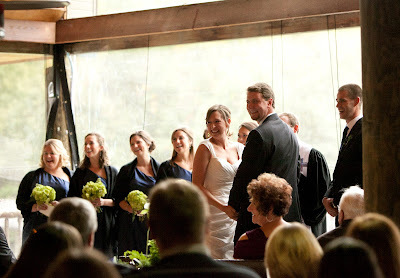 First and foremost, my husband and I have been married for 1 year today! It is so hard to believe that it has been a year since we walked down the "aisle" in the mountains and committed ourselves to each other for the rest of our lives. I wouldn't change ANYTHING about this first year. Ryan is possibly the most supportive husband a woman could have. He has supported me through it all...full time job, marathon training, house work and my favorite new hobby, KettlerCuisine! He was the one that encouraged me to start the blog on that fateful Spring day. Speaking of a "fateful Spring day," it has been 6 months today since I officially launched this blog. I know it seems silly to launch a blog on April 1...think about it, April Fool's! However, it has been a lot of fun to keep alive. Friends and family are always asking me about how the blog is going and what they should expect for the future. Well, I can't give all of my secrets away! Since Ryan is the center of my life and my second love is cooking, it seemed only natural to come up with an over-the-top Anniversary meal that we could plan and cook together. We decided on extending the celebration a day early so we could enjoy more time together. Lobster!! That was the star of the show last night. We wanted to think of something easy enough that we didn't have to stress over, but delicious enough that would be memorable. Desert was taken care of, we had the top layer of our wedding cake that has lived in our freezer since last October 1. My father contributed a nice aged bottle of Tawny Port, and we completed the meal with two sides, one of which is from the blog - Caramelized Pancetta and Fennel Salad. No recipe today, but instead, some tips about our first experience handling and cooking lobster. We tried to find live lobsters, but decided against this once we knew we would have to face the inevitable killing! We settled (which I say lightly because they were amazing) for lobster tails from Whole Foods. I was intimidated!! I had never cooked lobster and it is quite pricey...so there was a lot of pressure to not screw up. Ryan did his usual Google search for tips on cooking lobster and found some other cooking blogs online. The best bet was to broil them with melted butter on the side. This just further claims my theory of "seafood is best with nothing on it!" These tails were great - no fishy smell at all. I only made one cut down the center of the tail, but I would suggest making two cuts (discarding the cut shell pieces). Then use your finger, being careful not to cut yourself on the shell, to separate the "meat" from the shell on both sides. The meat should then easily pull away and rest on top of the shell. Most recipes call to brush the lobster meat with melted butter before cooking, but I did not do this. I simply placed the tails on a foil-lined baking sheet and broiled on high for 5 minutes. That's it!! Our tails were between 4-6 ounces each. If you get smaller ones, reduce the cooking time and visa versa. Overall, it was a great anniversary. We started the day with a trip to Whole Foods (for our dinner ingredients) and favorite beer store, Bottle Revolution. We had to find some good beer to put in our cute new coozies from Cass and Mike! We then sat and watched the amazing video that my cousins made from our wedding and the recording of our ceremony (while I sobbed). And finally, we turned on some beach music, (my personal fav - only Southerner's can understand this one) and re-lived our first dance, which started with a choreographed shag (again, only Southerner's can understand this)!! Happy Anniversary to the Kettlers and to Kettler Cuisine!